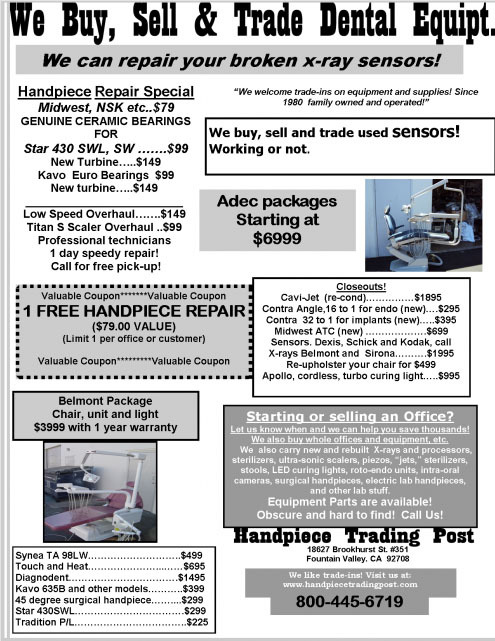 Welcome to: Handpiece Trading Post! Our primary goal here at Handpiece Trading Post is to take care of our customers! It is why we offer a liberal trade-in and trial policy! We Encourage our doctors to trade in h.p.s. and small equipment that they are not using or prefer to not use for our own selection. Also we encourage them to try new equipment and if they are not satisfied to simply return it within a reasonable amount of time. Family owned and operated... We treat you right! 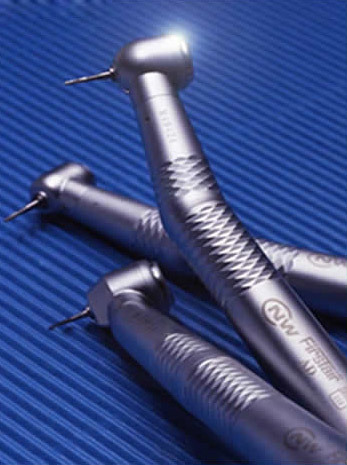 Handpiece Trading Post provides the best in used dental equipment, used handpieces, dental handpiece repair and used dental chairs.